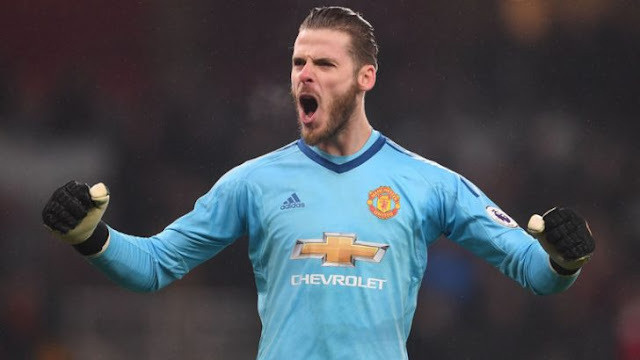 Spanish Goalkeeper, David de Gea is said to become the most Paid Goalkeeper in the globe after Joining the french club, Paris St-Germain in the summer. Mail online football reported that De Gea, is set to join Paris St-Germain in the summer when his contract expires at Old Trafford. Manchester Number one goalkeeper, De Gea has been stalling on signing a new Manchester United deal in the knowledge that a bumper £300,000-a-week is on offer at PSG, who could get round any Financial Fair Play restrictions by selling Neymar to Real Madrid and building their team exclusively around Kylian Mbappe.